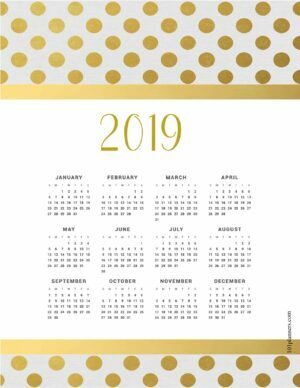 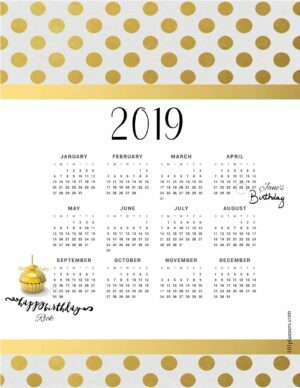 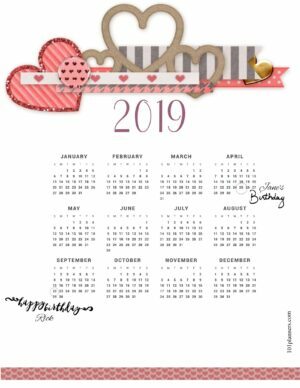 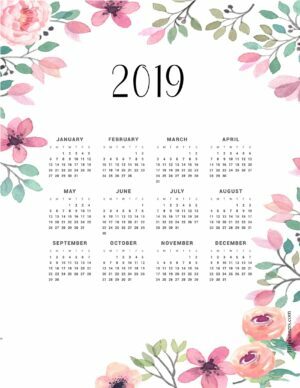 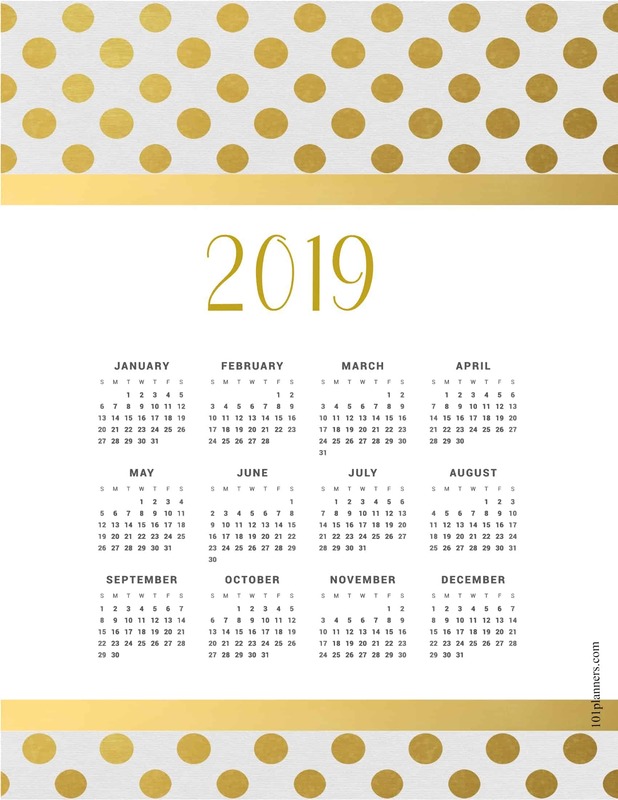 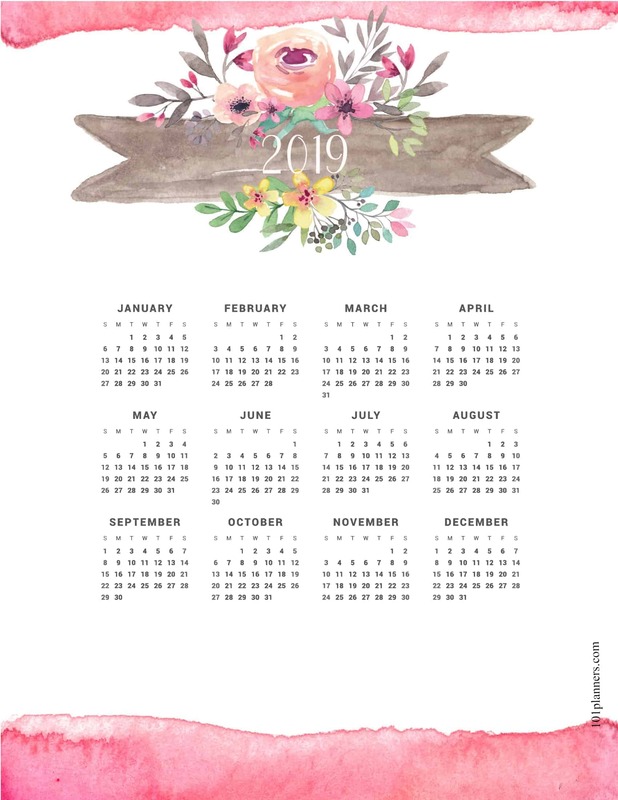 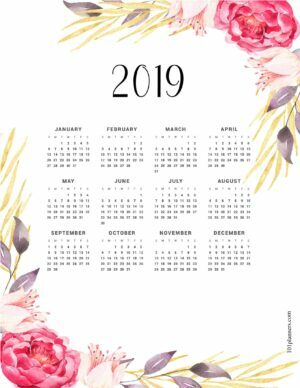 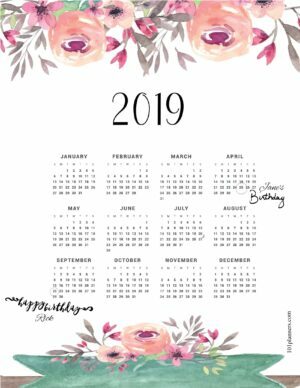 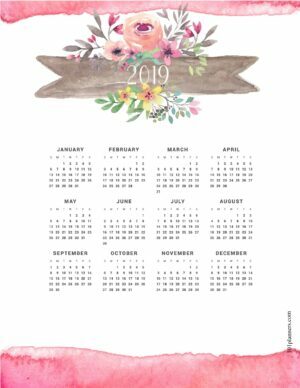 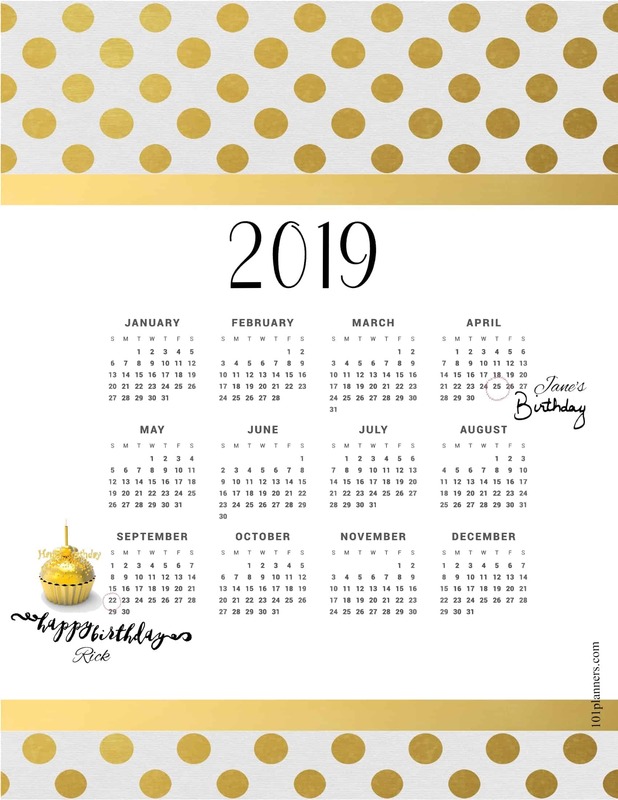 Free printable 2019 yearly calendar at a glance. 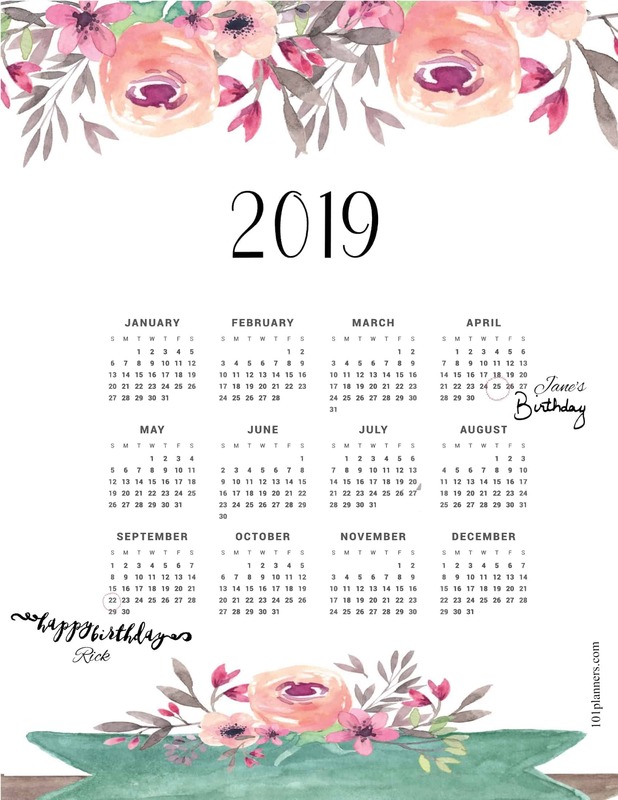 You can select any background. 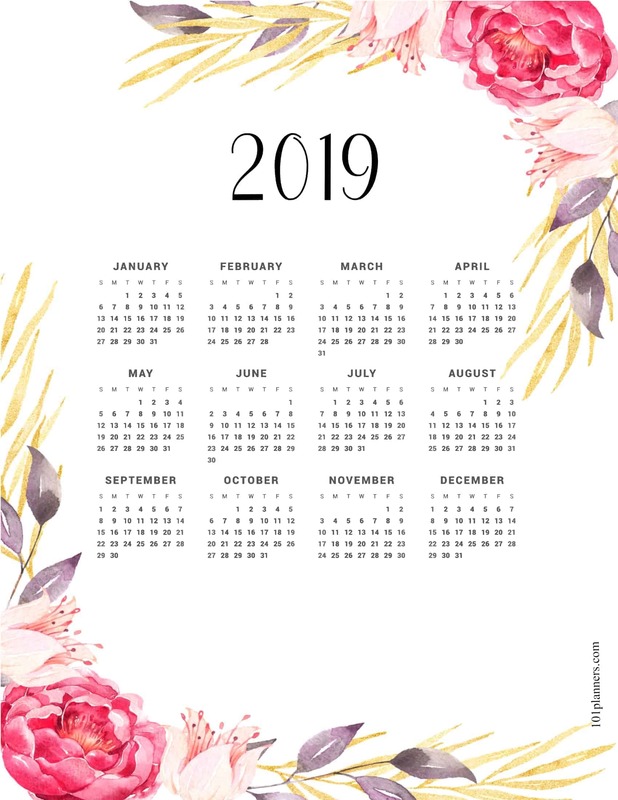 There are 101 different backgrounds and borders. You can also add icons to mark important dates. 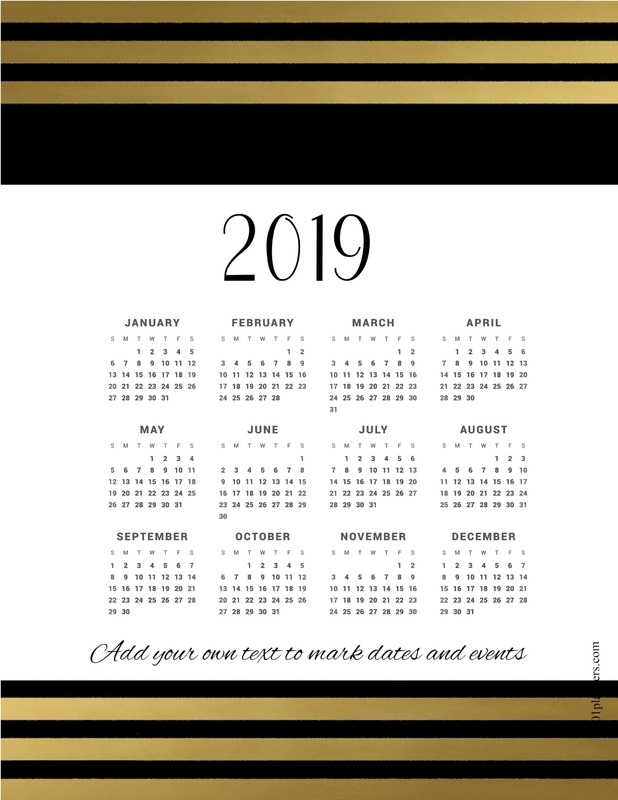 You can either print a blank calendar (like the one on the right) or add icons and text (like the one on the left). 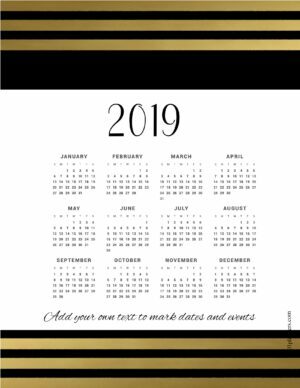 How to make a 2019 yearly calendar? 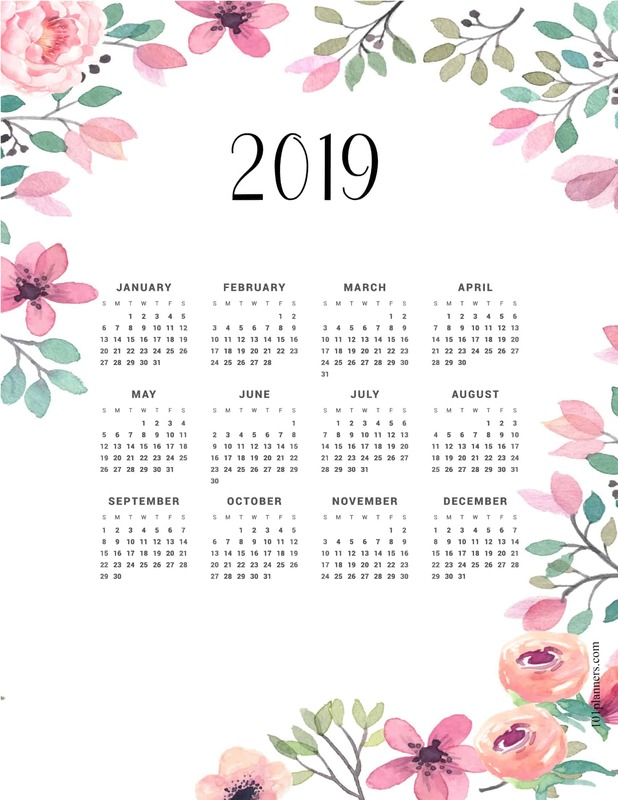 Click on “change background” and select a background or border for your calendar. 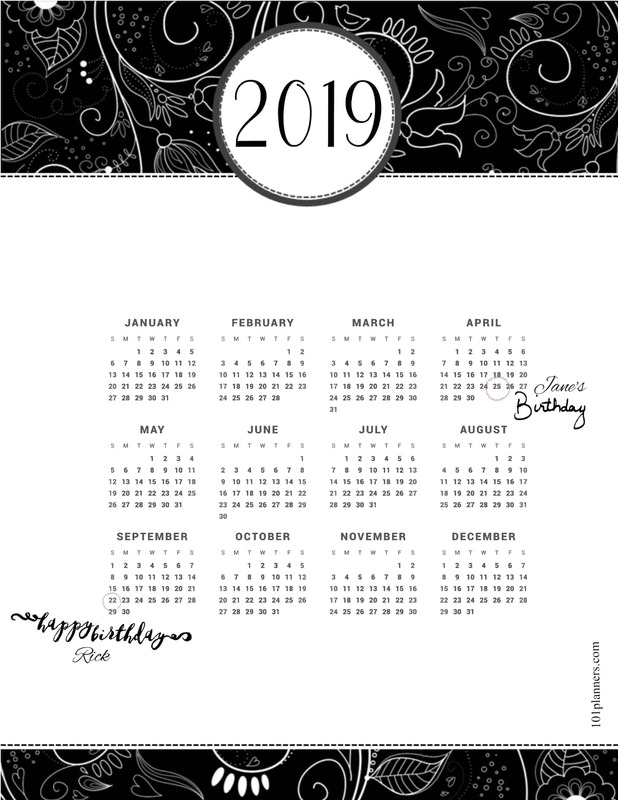 To add an icon to mark a specific day, click on “select design” and then on “add icons”. 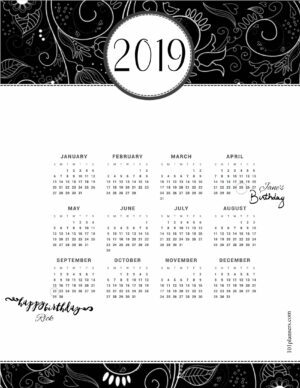 To add text click on “add text”. You can drag the text anywhere. 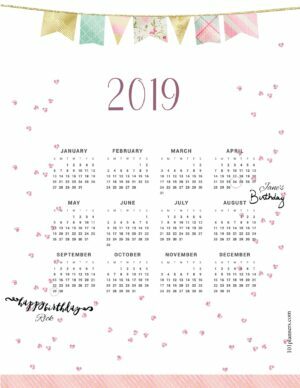 You can also change the color, font and make it bigger or smaller.